For over 25 years, our family owned and operated business has provided expert plumbing services to Rochester and beyond. 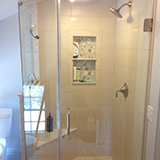 From fixing a leaky pipe to complete bathroom remodeling, we do it all. And we never call a job finished until you’re completely satisfied. 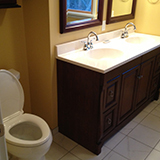 The professionals at TJ’s Plumbing are dedicated to providing expert workmanship plus personalized service you won’t get with the big companies. When you work with our family-owned business, you get one-on-one interaction, ensuring your needs are understood and completely satisfied. Serving Rochester, NY and all of Monroe and Wayne counties, including Webster, Penfield, Fairport, Pittsford and Irondequoit. Call TJ’s Plumbing today for all your plumbing needs - no job is too small! © TJ’s Plumbing. All Rights Reserved.